Have you ever hosted a party and found that all of your guests inevitably end up in the kitchen crowded around an island or a small kitchen table? Thankfully, large and open-spaced kitchens are gaining popularity this year, making hosting a party a much more enjoyable, and less crowded, affair. 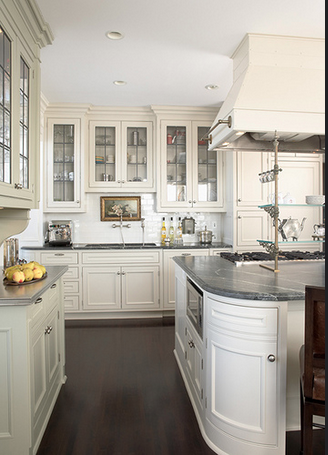 Below is a checklist of the most important aspects of an open kitchen. 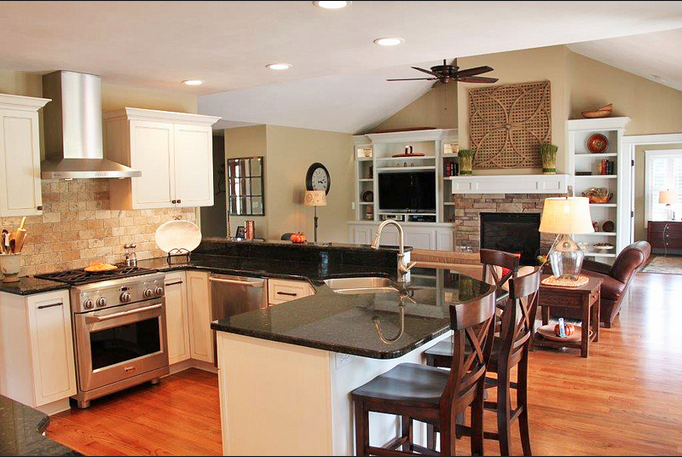 √ Multipurpose Room: Instead of having separate rooms for a kitchen for preparing food, a dining room for serving it and a living room for entertainment, opt for a large open room that can serve as all three. This opens up space and doesn’t cut anyone off from the group, no matter which ‘area’ they are in. √ French Doors with Windows: In the winter, having windows in your french doors helps cure cabin fever because you can still feel connected to the outside, and it gives your space the illusion of being more open. 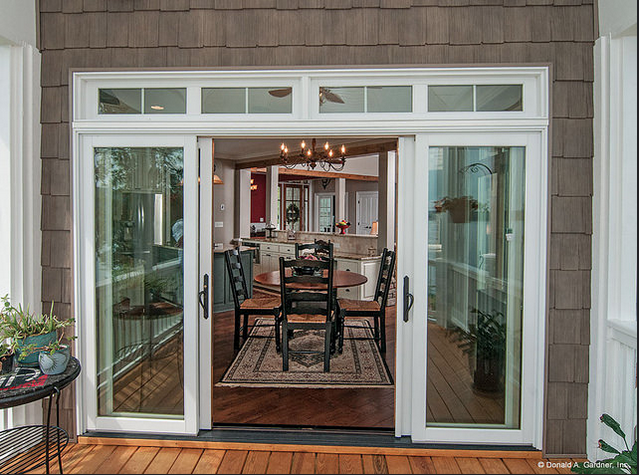 In the summer, you can literally open both doors and instantly create more space. √ Reflective Surfaces: Reflective surfaces create a more extensive appearance. A mirror that acts as an accent wall can help make a smaller room less confined. 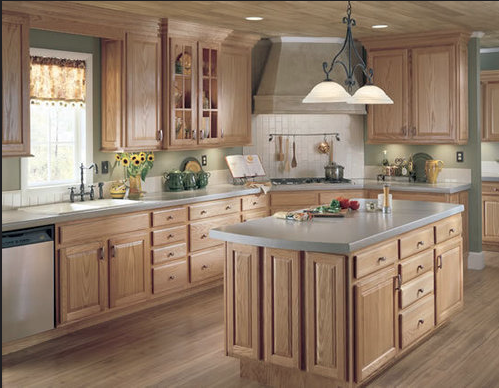 √ Open Cabinets: Replacing solid cabinets with glass door cabinets on a bare wall produces an airy atmosphere. Just be sure that all your dining wares are tidily arranged! 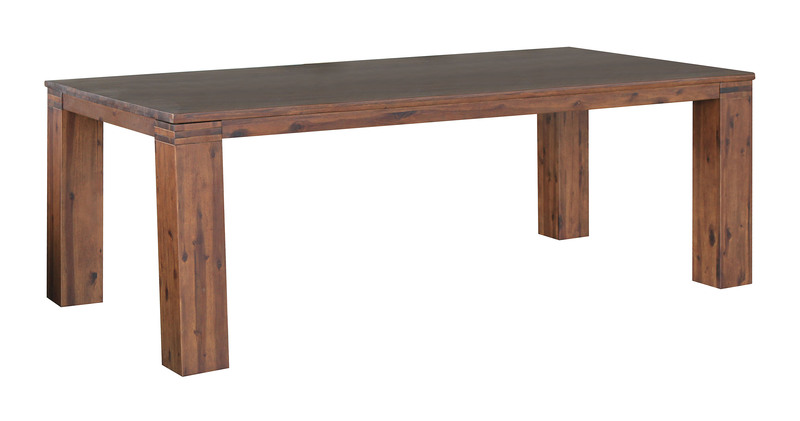 √ Large Dining Table with Benches: Placing a large dining table, like the Michigan Dining Table, in the middle of your open room allows more people to gather around the table. Using benches rather than chairs allows you to slide them under the table when not in use, utilizing space that is typically unusable to create even more area! √ Soft Colors: Adding in colors, such as soft yellow, pale green or cream, reflects light well and gives a room with lots of windows a more natural look by brightening it up using the organic light from the sun. By using these tips, your home can be the optimal space to throw a party without a crowd control issue!